Selecting Fabric: You need to keep in mind the at what time & season you are planning to wear this Jacket. For day wear, you can opt for light colours and for the evening & occasions, you can choose dark colours. Depending upon the season you can pick up Linen for summers, wool for winters & blended round the season. Select Collar: You can choose from the no. of collar options available. If you want a comfort, you can opt for curved one hook, curved gap or square gap collar styles. 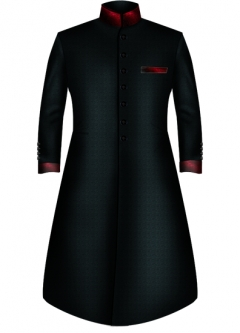 For occasions, you can get velvet or satin collar, Front & collar piping. 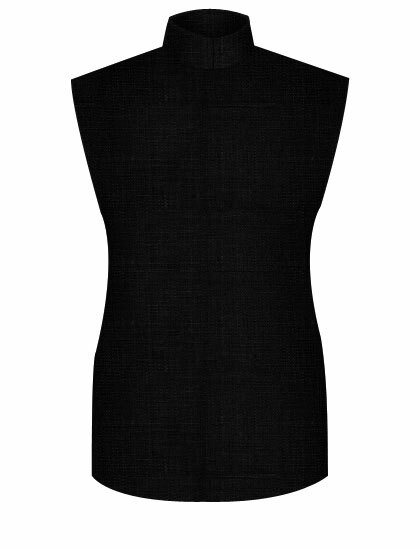 Select Bottom: Wearing your Jodhpuri Sleeveless Jacket with Breeches, opt for straight cut. Select Pocket: You can opt for Besom, patch, two pockets with flap for everyday wear & 4 pockets with flap, shoulder epaulettes, belt for occasions & evenings. Four pockets are valid with Patch with Flap style only not with Besom & patch. Flap Style: You have the option of choosing your pocket flap style with flap1 & flap2. Pocket Style: You have the option of choosing your pocket design among Inner Box Pleat & Outer Pleat or No Pleat .You will not be able to select Pocket Style in case you have chosen Besom or Patch pocket design.